Dr. Wheeler W. Hubbell was the deviser of goloid, an alloy of gold, silver and copper which contained the first two metals in proportion to their market values at the time. Unfortunately, the resulting alloy was visually indistinguishable from ordinary silver, and the Mint’s experiments with it proved fruitless. Many delightful pattern designs survive from this program, and the coin presented here is among the most popular. From dies by William Barber, this amazing gem features a superb strike, brilliant, pristine fields and attractive toning of gold and sea green. The statistics inscribed on its reverse provide the formula for goloid: 15.3 parts gold, 236.7 parts silver and 28 parts copper—for a total mass of 14 grams. Its metric weight was another fascination of Congress and the Mint at that time. The NGC online census of graded coins is a wonderful tool that is intuitive and user-friendly. You’ll find a complete listing of USA coin types, divided into MS (Mint State and circulated coins) and PF (Proof coins). Clicking on the desired category will open that particular selection, and further options for obtaining more detailed information will appear. Separate tabs are provided for NGC-certified world coins as well as tokens and medals. The NGC Coin Explorer is the most comprehensive online coin reference for United States coins. In it, you’ll find images and specifications for every US coin, including mintage figures and current melt values for all gold, silver, and platinum coins. Detailed coin descriptions with insightful analysis are available for almost every coin and NGC certified populations are also displayed in simple chart and graph formats. Use this online tool to compare the certification details of any coin against the NGC certification database. This is also a great launching off point to learn more about your coin. In addition to seeing the grade and attribution details associated with your coins, you will also be provided the NGC Coin Price Guide value, a link to its population figures and a link to its coin encyclopedia entry. A feature incorporated into the online Census of NGC-certified coins is the NGC Coin Price Guide. 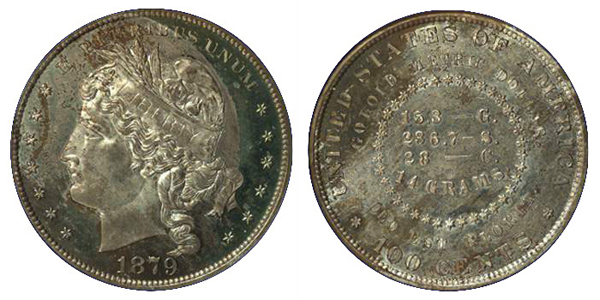 By clicking on a highlighted coin issue, a table appears that features both that coin's certified population and its corresponding values across several grades. You can find upcoming and completed aucitons for NGC-certified United States coins in the NGC Auction Central. Navigate through sales from some of the world's largest auction houses. Search through years of auction data using this powerful search tool to help you research your favorite coins. The World Coin Price Guide is a complete catalog of values for World coins from 1600 to date. Created by NGC and Krause Publications' NumisMaster, the price guide pages are arranged by Krause catalog numbers and include values, images and specifications such as weight, composition, engraver and current bullion values. Found at NGCcoin.com, it is the most comprehensive online valuation guide available, and is free to all users. NGC coins have set numerous auction records. Find the auction prices of some of the world's most valuable coins that have been graded by NGC overall and in your favorite series. The NGC Chinese Modern Coin Price Guide is your single comprehensive resource for Panda coin values and more. Click on the description you’re interested in and the coin details page opens to reveal a Price Guide chart, along with NGC Census data, variety attributions, NGC Registry scores and more. All values are for NGC-certified coins. The World Gold Coins Value Guide is your resource for average asking prices of common date examples of NGC-certified World coins. Values may fluctuate depending on whether a coin meets NGC's grading criteria, but the figures shown are based on actual observed trades, and serve as an excellent tool for dealers and collectors. NGC Research Director Dave Lange looks at the entire series of United States coins, on a type-by-type basis, providing tips on how each coin type is graded and qualities to seek in selecting optimum examples. Now you can shop for coins well armed with useful facts and insights that will help you avoid many pitfalls.